Cedar Mountain is proud to have been serving customers in Bozeman for more than 35 years. We currently serve all spa cover dealers in the area from two locations in the Northwestern part of the U.S.: Kent, WA and Hayden, ID. There are more than 150 dealers around the country to help you meet all your spa cover needs, many of which are scattered around Bozeman. Visit the “dealer locator” page to find a dealer near you. The city of Bozeman is situated in the southwest region of Montana. As of 2015, the population was close to 43,500, making it the fourth largest city in the state of Montana. The city was named after John M. Bozeman, the man who was one of the key founders of the town back in 1864 (the town was officially incorporated April of 1883). John Bozeman also established the “Bozeman Trail”. Bozeman is the home of Montana State University (which is attended by 16,400 students), and it is generally referred to as a college town, due to the large university population. The local newspaper is the “Bozeman Daily Chronicle”. The Montana Arboretum and Gardens, which is located on the University campus, is home to plants that are native to the Rocky Mountains area. In addition, there is a Xeriscape garden that was made to reduce the need for additional water. The Big Sky Resort (formerly known as the “Moonlight Basin”) is the largest ski resort in the U.S. 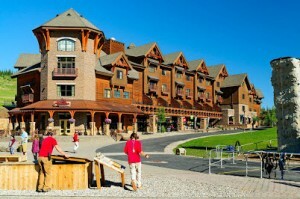 This resort has more than 5,750 acres of land, and there are more than 30 ski lifts available. The “Headwaters” has one of the most extreme terrains, but other features, include: tree skiing, long groomers, moguls, freestyle runs, and beginner slopes. The Lewis and Clark Caverns (a view from the entrance of the cave is pictured below) are known for their limestone formations. These caverns have been known to Native Americans, long before they were officially discovered by the Lewis and Clark Expedition, who camped near the site, during the summer of 1805. The truth is that these caverns were first discovered in 1882, by Mexican John and Charles Brooke. They did not share their discovery with many people, so word did not spread quickly at that time. Yellowstone National Park was the first official park in the world, and it is known for its wildlife (such as elk, bison, wolves, and bears), and extraordinary geothermal features, namely the popular, “Old Faithful Geyser”. 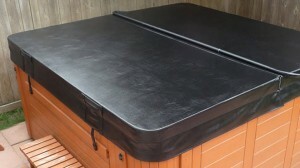 All Cedar Mountain spa covers are hand assembled in the United States, and are built to endure all types of weather that the Northwest is notorious for delivering. For more information on how to become a part of the Cedar Mountain team, and offer these great spa covers to your own customers near Bozeman, please complete our New Dealer Registration Form or call us at: 208-772-9176.